It is not that often these days that I encounter future-related books that I read all the way through. More often the book’s point is obvious after a couple of pages and rarely is it a point that adds much to needed understanding. Over the last year I’ve come across three books that kept my attention to the end. They are worth mentioning simply by way of acknowledgement. They are also worth noting because each in a different way helps put Creative Systems Theory’s contribution in perspective. I was grateful for each book and learned things from each of them. But in each case Creative Systems thinking adds essential insights. Either it challenges basic assumptions in ways that prove critical or it fundamentally furthers conclusions. Either way, we find the commonly encountered, frustrating/enlightening recognition that culturally mature perspective tends to take us out ten or twenty years beyond common ways of understanding—and here that includes the best of current thinking. The first book is Yuval Noah Harari’s 21 Lessons for the 21st Century. Harari’s first two books Sapiens: A Brief History of Humankind, and Homo Deus: A Brief History of Tomorrow, have both been best sellers and 21 Lessons for the 21st Century is quickly following suit. I applaud the book for doing a good job of framing the challenges that will likely be most critical in coming decades. 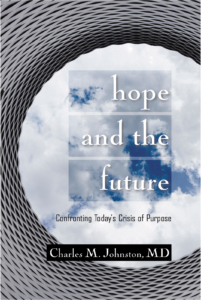 The challenges he addresses closely parallel those I identify in my book Hope and the Future: Confronting Today Crisis of Purpose. And we are in agreement that today people are in denial with regard to all too many of them. At the same time the book falls short in two major ways. Its thinking is ultimately dualistic and mechanistic and as such necessarily fails at getting solidly into culturally mature territory. The book also fails at what its title claims it achieves. As far as “lessons,” Harari deftly describes calamitous possibilities, but he offers very little when it comes to solutions. He ends by suggesting that it would help if we all meditated—not a bad thing to do, but hardly a radical notion or any kind of ultimate solution. In contrast, Hope and the Future describes in detail the new skills and ways of thinking needed if any of today’s most important challenges are to be effectively addressed. It also clarifies what makes realizing those new skills and ways of thinking possible. The second book is Michel S. Gazzaniga’s, The Consciousness Instinct: Unraveling the Mystery of How the Brain Makes the Mind. Answers to Consciousness-related questions—just what conscious awareness is, its purpose, and how it comes to be—have historically proved deviously elusive. One of Creative System Theory’s striking achievements is that it effectively addresses the first two of these questions (see the article “Come On” Stephen Hawking: The Quandary of Free Will In an Apparently Deterministic Universe or my book Quick and Dirty Answers to the Biggest of Questions). Neuroscientist Gazzaniga provides a compelling way of thinking about the third, one wholly consistent with Creative Systems Theory’s formulations. He proposes that consciousness is an inherent (thus the word “instinct”) systemic property of multiple separate parts of the brain and that consciousness as a whole is product of the way these multiple systems interplay. While Gazzanga lacks a formal concept like CST’s Integrative Meta-perspective, I’m comfortable concluding that he is drawing on culturally mature perspective in reaching his conclusions. It is important to recognize however, that answering the “how” question—“how the brain makes the mind”—is very different from answering the kinds of “why” and “what” questions that CST comfortably addresses—why we have conscious awareness in the first place and just what it accomplishes. The third book is Jeremy Lent’s, The Patterning Instinct: A Cultural History of Humanity’s Future. I loved the early parts of this book. Jeremy brings an evolutionary view to history that is very much in keeping with Creative Systems Theory’s approach. 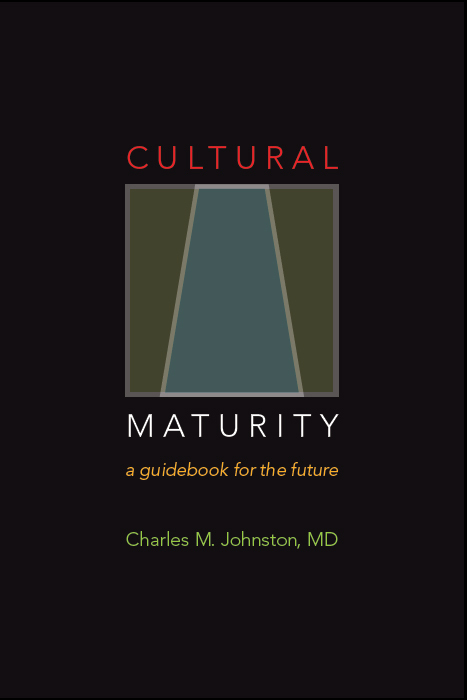 In his words, “culture shapes values and those values shape history.” The book adds to my contributions in The Creative Imperative and Cultural Maturity: A Guidebook for the Future by bringing greater attention to the history of the East. Unfortunately, however, when Jeremy turns to the future his thinking becomes much less useful. He points in some directions vaguely similar to what the concept of Cultural Maturity suggests, but ultimately falls off the left side of the road (or at the least ends up learning strongly to the left). He turns to classical Eastern thought for inspiration and observes that “In diametric opposition to the dualistic framework of meaning that has structured two and a half millennia of Western thought, the new systems way of thinking about the universe leads to the possibility of finding meaning ultimately through connectedness …” Creative Systems Theory makes clear that the kind of thinking needed for times ahead is fundamentally new, as different from what we have seen historically in the East as what we have witnessed in the West. It also emphasizes that “difference” is ultimately as pivotal to the experience of meaning as “connectedness” and observes that when we believe otherwise we end up well short of where we need to go (see Polar Traps). Each of these books makes a contribution and is well worth taking time with. But the contribution of each is best understood within the larger perspective provided by Creative Systems Theory. In each case, what CST adds is significant not just at the level of detail, but fundamentally, at the level of basic assumptions.